Once in a while you need magic in your life. More so, you need to believe in. In whatever form and manner. I guess sometimes we all need a wake-up call. Something to jostle us of our mere mundane existence and show us life in its truest form. The so-called hurdles along the way also need to be dealt with though. There is no escaping that. Maybe a little bit of living and a little bit of love would be good enough, if it comes in the right balance that is. 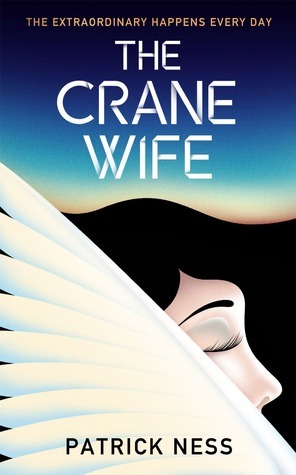 With this, I present to you one of the most wonderful books I have read this month: “The Crane Wife” by Patrick Ness. I was taken in by the title. I could not have figured what this book would be about and that further intrigued me to pick it up and give it a go. However, it was one of those seemingly dull days, when one has nothing to do and wants to do nothing but read that I picked up this gem of a book and could not stop reading it till I had finished it. The writing is sublime. It is funny in places even and in most places just poignant. The story is of a forty-eight year old man in present day London, his adult daughter, his infant grandchild and how their lives are infused and transformed by love of a strange woman, who just happens to enter their lives one fine day. It all starts with one night, when the man, patches an injured crane in his backyard and sets him or her going, the mysterious woman appears at his store the very next day. At some level, you want to believe that maybe it is the crane reincarnate but of course the logical reader will not. What makes this story even more brilliant are the set of 32 tiles she carries with her, which tell a tale of long time gone by, of a daughter born out of a cloud and her existence and life with volcanoes and the world. The questions but obviously keep the reader hooked till the very end: Who is this woman? Where has she come from? What is the purpose? Why the stories? Why the tiles? 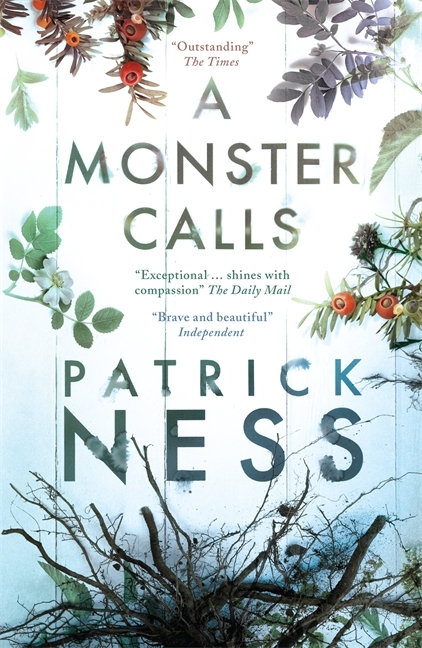 I had first heard of Patrick Ness when I read, “A Monster Calls” and loved the book to the core. It affected me quite deeply. I never thought that something else written by him would have the same kind of impact. “The Crane Wife” most certainly did. The writing is magical, infused with everyday living and yet blends with it the element of folklore with great tact. I left the book while I was about to sleep and found myself waking up in the middle of the night and turning the pages right through. Such I guess is the power of a very-well written book. It doesn’t let go of the reader, till the reader is done with it. It will definitely be on my reread list. This entry was posted in Books, Canongate Books, Literary Fiction, Review and tagged Canongate Books, Folk lore, literary fiction, mythology, Patrick Ness, The Crane Wife on April 19, 2013 by thehungryreader.